Carol Harris has once again made a colorful quilt for Care Partners of Cook County. 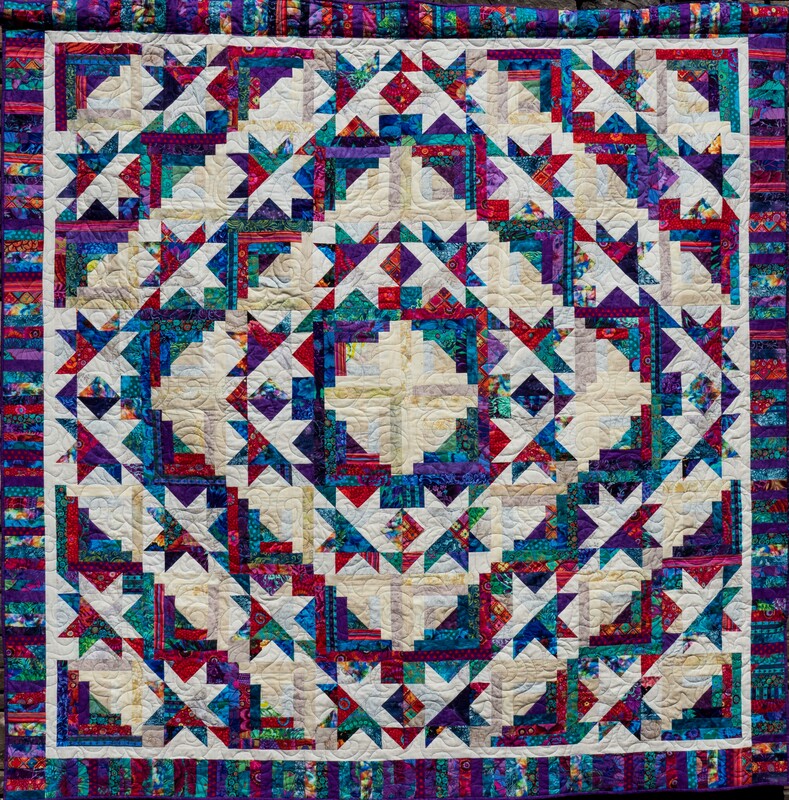 The quilt raffle will raise funds for our work to support those on the journey of aging and serious illness. The 89" by 89" 'raise the roof' quilt is on display at Drury Lane Books in Grand Marais. $5 raffle tickets are on sale there as well as Buck's Hardware, Java Moose, and Trail Center. Raffle draw will be August 26 at 4:30 pm as part of Care Partners 3rd Annual Ice Cream Social hosted by Sydney's Frozen Custard.